Sweep out the entire negative, all pride is doom. 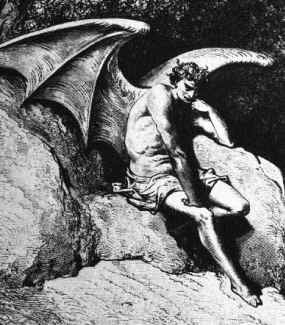 The Archangel Lucifer fell from grace. His plan was to rule the entire human race. St. Michael and our Lord Jesus did intervene. There was no other important drama or earthly scene. Pride is the downfall of the intellectual mind. Only connection with God, blessings you will find. Humble yourself and to your neighbours be kind. Christ is the example of whom we need to follow. Without Christ there is no tomorrow.